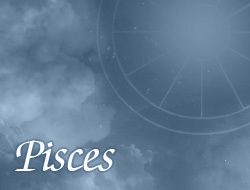 Pisces have a lot of dreams, which they want to achieve. Largely their plans are dependent of financial situation, which they have. Money is usually secondary for them, however in some cases it may turn out to be a major objective, which strongly motivates them. Some Pisces want to live in real luxury and wealth; they believe that one day will manage to reach it. In taking credits and loans they are guided by intuition, which almost never disappoint them. Usually try to reasonably manage their finances, in order to always have a little bit of money.